Typical Capricorns prefer committed relationships and long-term friendships to flirtations and light connections. They do not like to waste their time on frivolous associations and they take love very seriously because it takes a lot to get them there. Capricorns are extremely choosy about companions, spending time only with those for whom they have strong feelings. Capricorns, being slow to trust, are cautious about making the first moves to establish a romantic relationship or even a friendship. They are particularly wary of giving themselves over to love because they fear rejection. Many Capricorns avoid rejection by not making a move unless they know that their friendship or romantic overtures will be reciprocated. Even then, they tend to doubt the commitments of their lovers and they will restrain their emotions and demonstrations of physical affection until they are sure of the other person. When they do begin to trust, the Capricorn rigidity slips away, and they can be surprisingly passionate, especially with partners who can help them forget their self-consciousness. Although many Capricorns are prone to anxiety or depression, they tend to be stoic and strong in the face of adversity. They have excellent willpower, and they are unlikely to make themselves vulnerable by showing emotion if they have been hurt. As a result, friends or lovers may not know they have caused upset or offense, and this can create problems later on in a relationship. It is a challenge for Capricorns to open up and trust others with their deeper feelings. In romantic partnerships and with roommates, Capricorns often contribute more than their fair share to housecleaning and other duties, and they rarely do anything financially irresponsible. They are happiest with partners and friends who are as serious, practical, reliable, and responsible as they are so that they do not get taken advantage of. Typical Capricorns follow through on their promises and provide security and stability for their friends and lovers. Flighty, impractical types irritate them because they need to know that they can count on their companions in a crisis. Capricorns are quick to walk way from those who are unreliable or irresponsible. Relationships with flaky, erratic, or careless types are usually doomed to failure. Capricorns tend to be dignified and classy. They are unlikely to participate in ugly emotional scenes, provoke drama, or pick fights, particularly in public places, and they have a strong aversion to those who do. They are private people, usually somewhat introverted, and they loathe histrionics. Capricorns tend to deal with problems using practical, rational strategies rather than emotional or intuitive responses. They are most compatible with calm, reasonable people who are sensitive to their need for privacy and can discuss issues without becoming emotional. Even during leisure time, typical Capricorns like to be intellectually or physically engaged. When socializing, they usually prefer to do something beyond just chatting or watching television. 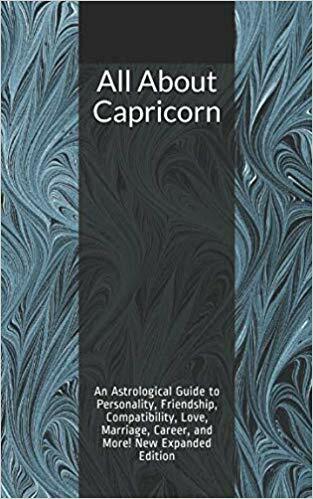 The typical Capricorn likes to combine social interaction with productive activities such as exercise, building or crafts projects, running errands, making music, conducting business, learning a new skill, or playing an intellectually demanding game such as chess. Because they are so physically and psychologically active, Capricorns tend to be a good influence on their friends and lovers. Capricorns quickly grow bored with people who are content to sit around. They are most compatible with those who share their love of active, productive social activities. The sun sign isn’t the only element that influences personality. Aspects and planetary placements, particularly the moon sign and rising sign (ascendant), are also important. For example, a Capricorn with Gemini rising will be far more chatty and open, though less reliable, and with Leo rising, a Capricorn is likely to be more assertive and prone to risk taking but less humble and sensible with money. For more on Capricorn, see the Capricorn Personality Profile. To see personality and compatibility profiles for all the sun signs, visit the main Astrology page.